The Chicago Bears are going into the offseason with some serious question marks on their roster, and the picture became a bit clearer on Alshon Jeffery’s future with the team Monday. 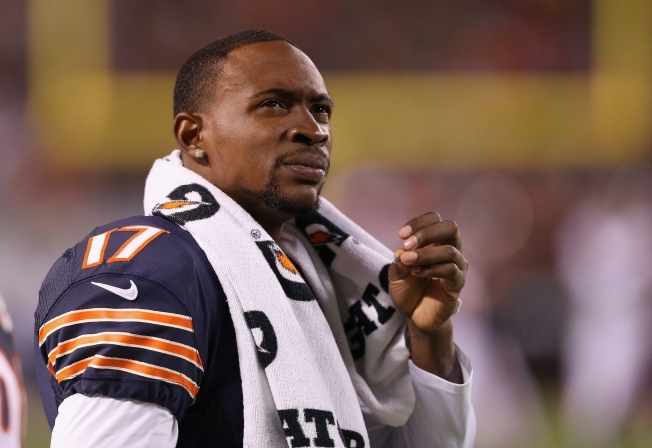 According to a report from NFL Network’s Ian Rapoport, the Bears are not expected to use the franchise tag on Jeffery. That tag, which would have paid Jeffery in excess of $17 million, would have kept Jeffery on the team through at least the 2017 season. Now, the Bears will have until March 9 to sign Jeffery to a contract, and if they are unable to agree to a deal before that date, then he would be eligible to sign with any other team. Teams like the Philadelphia Eagles have been mentioned as possible landing spots for Jeffery’s services, but teams like the Carolina Panthers, Indianapolis Colts, and the New England Patriots could have the salary cap space and the competitive ability to grab him. Jeffery, a 2012 draft pick of the Bears, has played 63 games for the team, grabbing 304 receptions for 4549 yards and 26 touchdowns. He had a down season in 2016, with 52 catches for 821 yards, and he was also suspended for four games for using a banned substance during the season. If the Bears let him walk, they will certainly be hoping that Kevin White can take a massive step forward into the number one receiver role, and they could also be looking to add another pass-catching weapon in the NFL Draft in April. They could also be looking at a new quarterback, as Jay Cutler is likely done with the team as well.